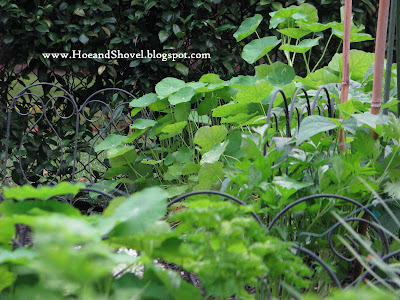 The vegetable garden and the gardener are finally getting along this fall. We had quite the rough start back in September and October. With critters, aka armadillos, ignoring boundaries and causing much mischief in the nighttime hours, we had to be diligent in order to proceed with enthusiasm. Seeds and seedlings were tilled under by their long and over-worked snouts pillaging through the soil for grubs and worms. But, finally, extensive barriers were erected that could not be compromised and we are at peace again. Now the carrots, onions, and lettuce are playing catch-up after being re-planted a couple of times. 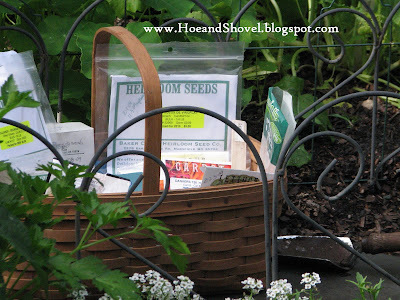 Today, more seeds went into the ground. Beans in succession to the first patch as we would not want to be without them anytime soon. 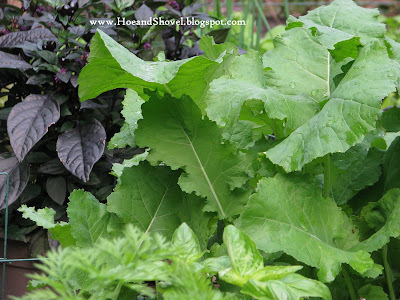 More collard greens, lettuces, and radish to fill in every inch of bare soil. 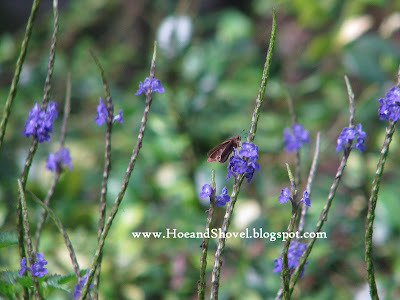 The skippers are everywhere but they especially like all the tall blue porterweed that has scattered itself among the veggie beds. So nice to have them fluttering about in numbers as I work. And, oh, the music of the bees finding every possible opening to nectar among the flowers. So peaceful and so mesmerizing all at once. They are the sweetest little creatures. And have you ever noticed how very busy they always stay? 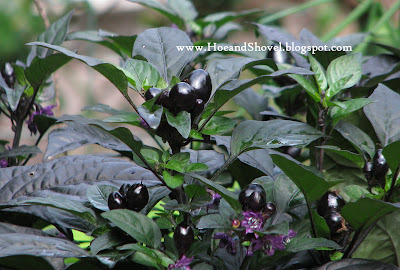 This fall garden is very much a mix of flowers and edibles. With an eye for combining the two together into one space I choose my plants for their visual appeal as well as for their food supply. 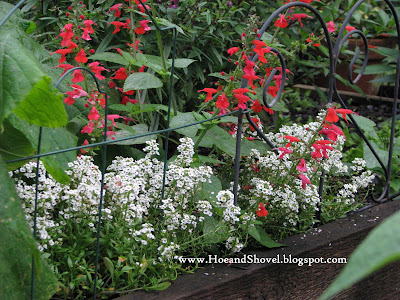 The red salvia coccinea is a self-seeder. 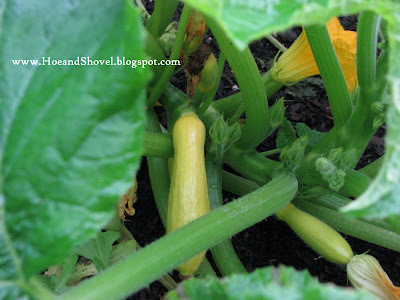 Summer squash in the fall. What could be better! Gazania sitting at the feet of tall tomato plants. 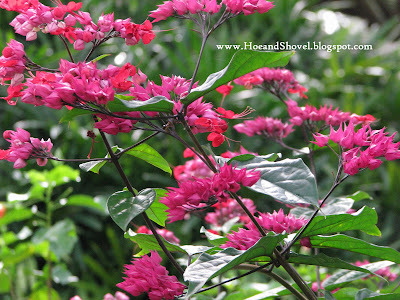 I know I already featured the bleeding heart vine but you know what! I am just loving it this week as it is bursting with buds and blooms. 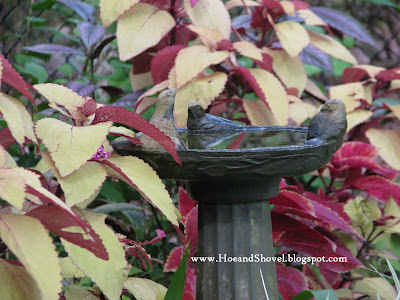 And... finally... another birdbath. This one at the other end of the veggie garden. Don't miss leaving a comment on Day 6 for a chance to win Judy White's newly released book, Bloom-Again Orchids. Hi Meems~~ This time of year, I'll take all the flowers and foliage I can get. Your garden is lovely! 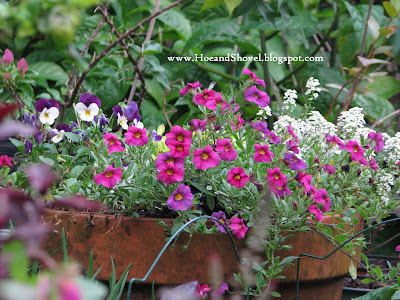 Your gardens are always an inspiration!! 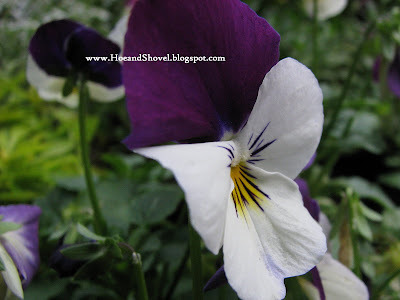 Your veggies look so good underplanted with flowers. 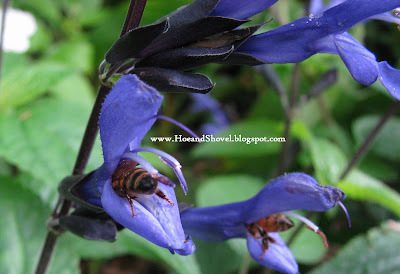 I love the photo of the bee butts sticking out of the black and blue salvia. My b&b salvia is mush now. 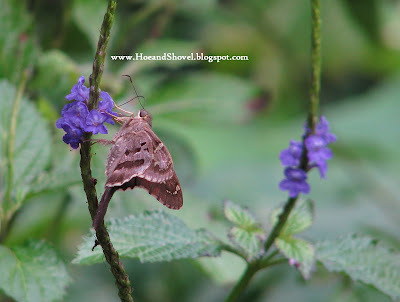 It will be some time before the bess are buzzing and butterlies are flitting about in my garden. I will have to garden vicariously. 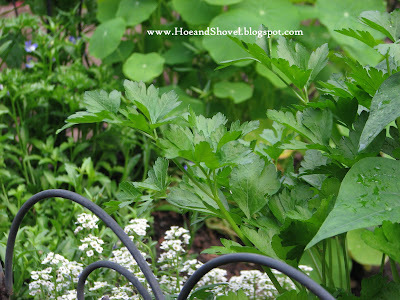 Your garden makes my mouth water...all those yummy looking veggies. 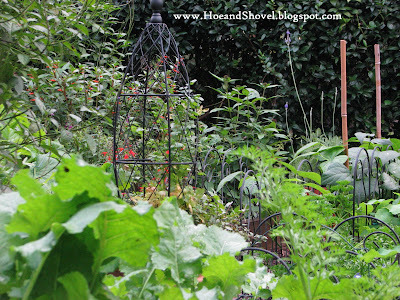 Your veg garden is looking nice. What type of Tomato are you growing there. I am trying Celebrity this time but remain a Tomato novice. your potager is perfectly picturesque. 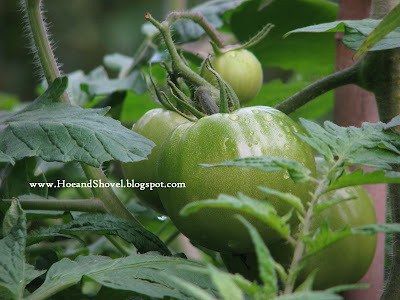 i love seeing fresh veggies growing anytime i can...knowing you are in gardening heaven is a comfort to me that you are just as happy as those bees getting their fill. oh how i wish i were close enough to get a taste. 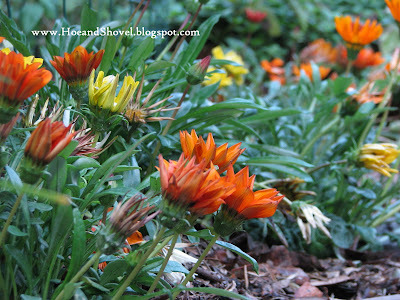 Many thanks for including gazania. I have been trying for two days to figure out what my neighbor's "gerzinnia" is and now I know! She says it's super hardy and a great re-seeder. I'm going to have to get some! Happy holidays. I'll try to come up with a different "12 days" at The Dirt (tinyurl.com/dirtblog). Good thing Christmas is still more than 12 days out!